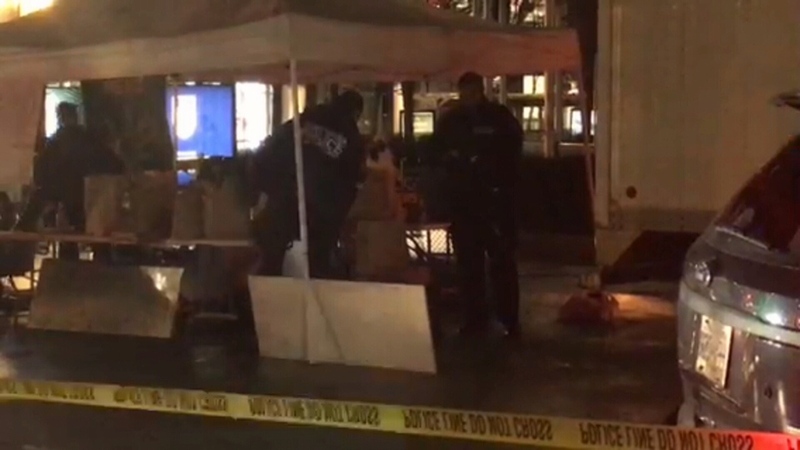 CTV Vancouver viewers demanded something be done about the illegal drug market in Robson Square and late Sunday night, police took action. Several police cars, a prisoner transport vehicle and a VPD truck moved into the square, where officers confiscated much of the vendors' goods, including pot. “They took all of our tents, three of our tents and 10 tables. They took all of our cannabis all of our personal belongings,” said pot vendor Dillon McArdle, "It was pretty hectic while it was going down." 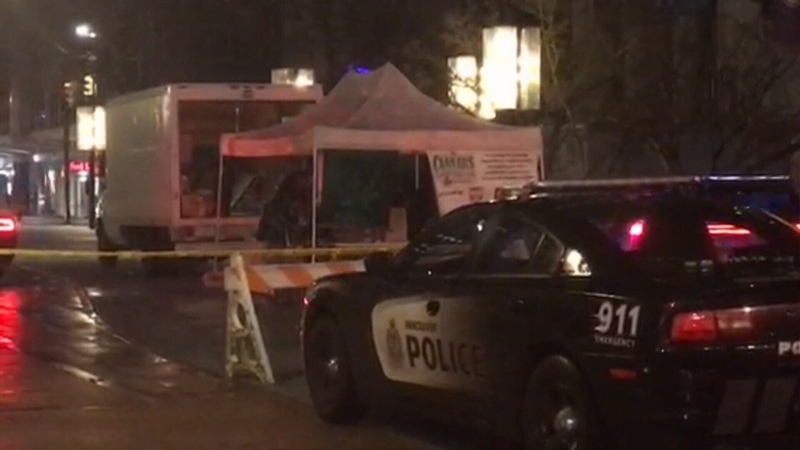 The late-night raid followed several stories by CTV’s McLaughlin On Your Side team exposing how the activity was squeezing out licensed vendors who pay to be in the square, how minors could get their hands on the drugs without showing ID, and how fights were breaking out in the market. CTV News reached out for comment from the Vancouver Police Department. 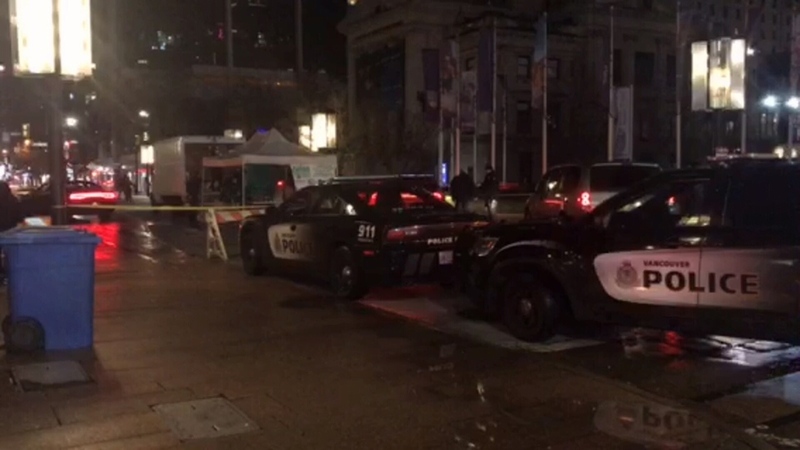 “There has been some police response related to the activity at the Vancouver Art Gallery. 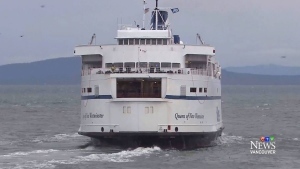 However, we do not have additional information to provide at this point,” media relations officer Sgt. Jason Robillard replied in an email. The enforcement followed a comment from Mayor Gregor Robertson earlier this month suggesting the public "stay tuned" as to what would be done about the open air weed market. And while it appeared the makeshift market had been shut down by the raid, several vendors were back at it, selling marijuana and edibles by Monday mid-day. "The city has to be consistent and if they're not consistent about policing they'll just come out again," said Aroka Kushner, a licensed vendor who sells clothing in the square. 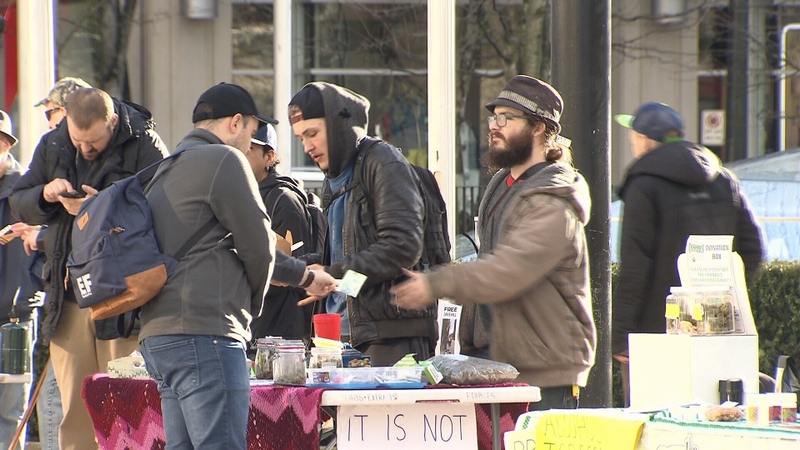 Undercover investigation: How easy could it be for minors to buy drugs at Vancouver's illegal weed market?